If sugar is something you simply have not been able to kick, no matter how you try, you are not alone. The fact is that your brain is actually designed to seek sugary foods, and counteracting that urge is tough for many. By following the advice below, however, you may just find that banishing your sugar cravings really can be done. Research has indicated that people who routinely eat a nutritious breakfast experience fewer sugar cravings throughout the day. Heeding this piece of advice in conjunction with the next one discussed will truly aid in your battle against sugar. Incorporate protein in meals and snacks. It is highly advisable to eat between 5 and 6 smaller meals throughout the course of the day instead of just three larger ones. During each of these meals as well as snacks, try to include a portion of protein. This works to keep your blood glucose regulated, thus reducing the cravings for sugar. Dietary and other significant lifestyle changes tend to be easier to stick with if you have a buddy to provide inspiration and encouragement. It is highly likely that a friend or family member is battling sugar just like you are and wants to make a change. Ask them to join you in taking the steps listed here in an effort to kick the sugar cravings for good. 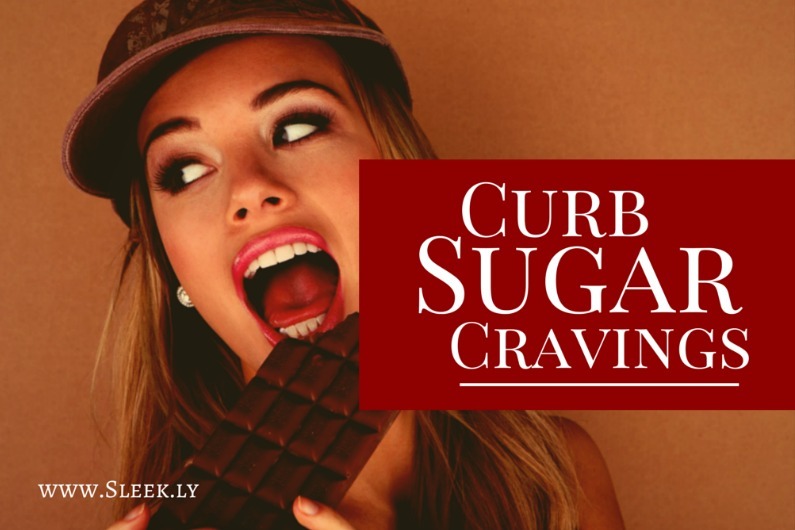 Once you start limiting your sugar cravings, you will likely start shedding fat. But, try not to make this the overall goal. Maintain your emphasis on battling the cravings on their own, not losing weight. Because the brain likes to focus on one main task at a time in order to be truly effective, keeping loyal to the original goal will likely produce better results. After you have beat the sugar cravings completely, you can start focusing on weight. There is no doubt that your brain is still going to seek sugar from time to time, and that is a hard call to resist. Thus, there will almost certainly be times when you falter and give in to the cravings. However, you must not be hard on yourself about the fact and allow yourself to abandon your efforts. Instead, start fresh the next day, knowing that you have the power to accomplish the goal. Crocus sativus, otherwise known as saffron is a relatively exotic spice able to quash sugar cravings with impressive effectiveness. Researchers have shown that individuals who were given saffron extract were able to cut between-meal snacking by upwards of 55%. Be mindful of the impact of diet soda on sugar cravings. Most diet soft drinks and snacks touted as being sugar free or low in sugar make use of artificial sweeteners such as Splenda, Nutrasweet or aspartame to get their sweet taste. However, scientists from the University of Texas have found that just one can of diet pop can boost your obesity risk by 41%. The fact is that such beverages may indeed trigger cravings for sugar, something that is surely counter to the intentions of those consuming them. Hope you find this article useful. There’s definitely a way to beat cravings for sugar for good.